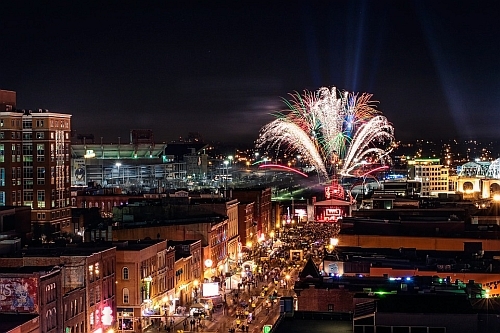 WestJet has dropped the price of their flights from Winnipeg to Nashville, Tennessee down to $291 CAD roundtrip including taxes. Dates over Canada Day, Labour Day and Thanksgiving are currently available. On Priceline, the price will show up as between $222 USD roundtrip including taxes. Priceline is *always* in $USD. This will work out to $291 CAD roundtrip when booked using a Canadian credit card, and including the typical credit card foreign exchange fee. winnipeg, ywg, flight deals, westjet, united states, nashville, tennessee, bna and north america. 3 Responses to "Winnipeg to Nashville, Tennessee - $291 CAD roundtrip including taxes"
Tried right away last night, when proceeding to book a flight an error kept occurring saying whoops unable to confirm flights availability....did this ever work or was it just an error? Is that on Priceline that you're seeing the error? These are still showing up today - and they're still available on the WestJet website, so I don't believe they're any kind of an error fare. It's possible that a few other people were trying to book the same dates, which can happen if it's a high demand date range (around holidays for example). This can sometimes lead to issues with availability. Hi Chris, Yes on priceline, I'm looking at multiple dates such as July 13-16 and priceline is showing availability on numerous flight options yet every time after I go to enter passenger information i get the whoops airline availability is constantly changing we're no longer able to confirm availability of this flight.... very very frustrating to say the least. Is there something I'm missing here? If you are able to help that would be fantastic!